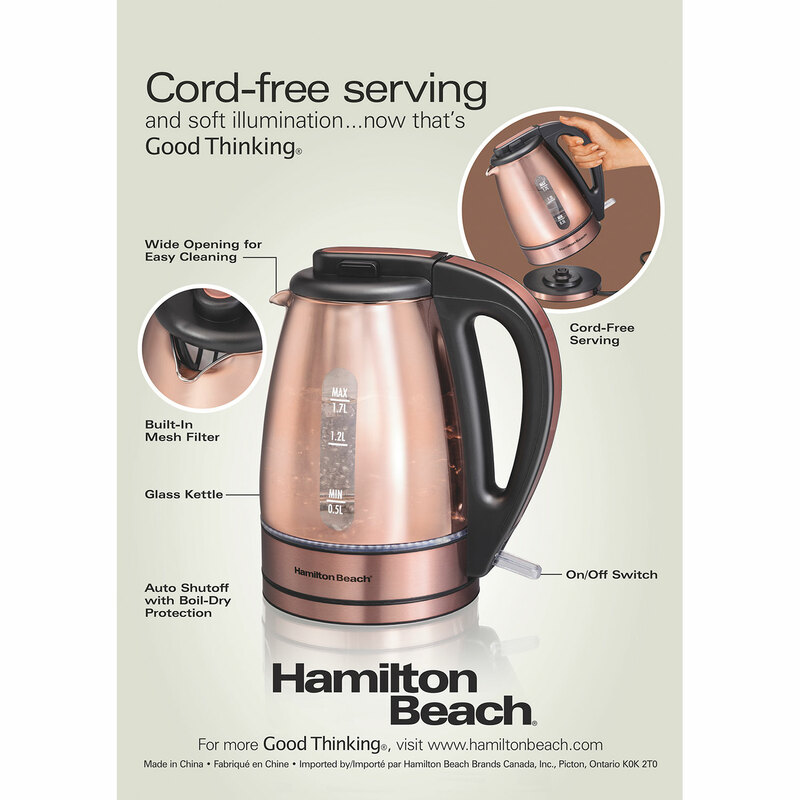 Copper finish and cord-free serving. 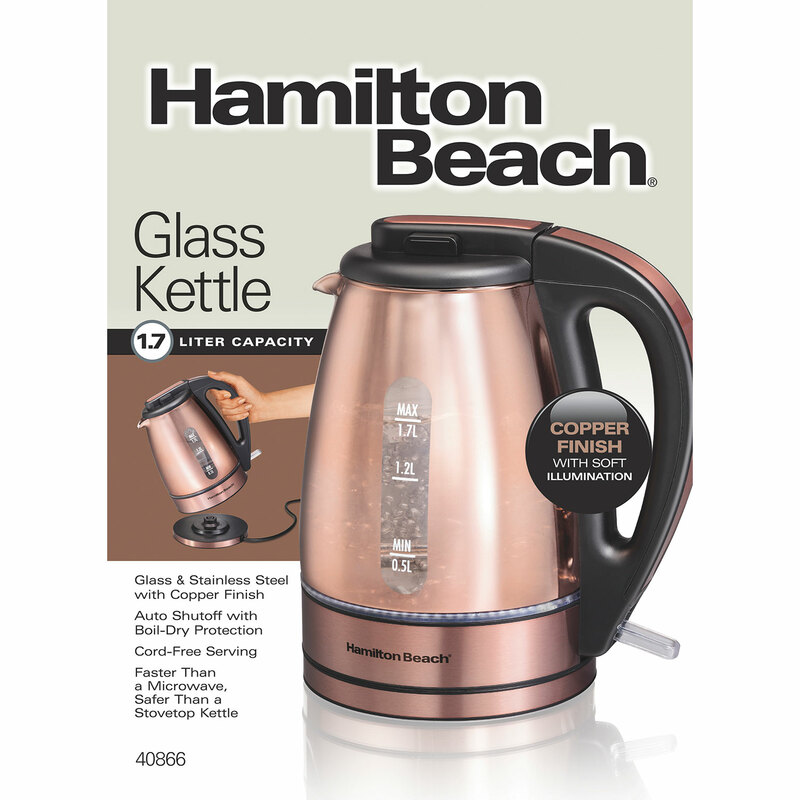 Bring the classic look of copper to your table without the expensive pricetag and maintence with the Hamilton Beach® Glass Kettle. The beautiful copper finish and cord-free serving make it perfect for any occasion, from weekday breakfast to Sunday brunch. With a 1.7 liter capacity, there’s enough for everyone. 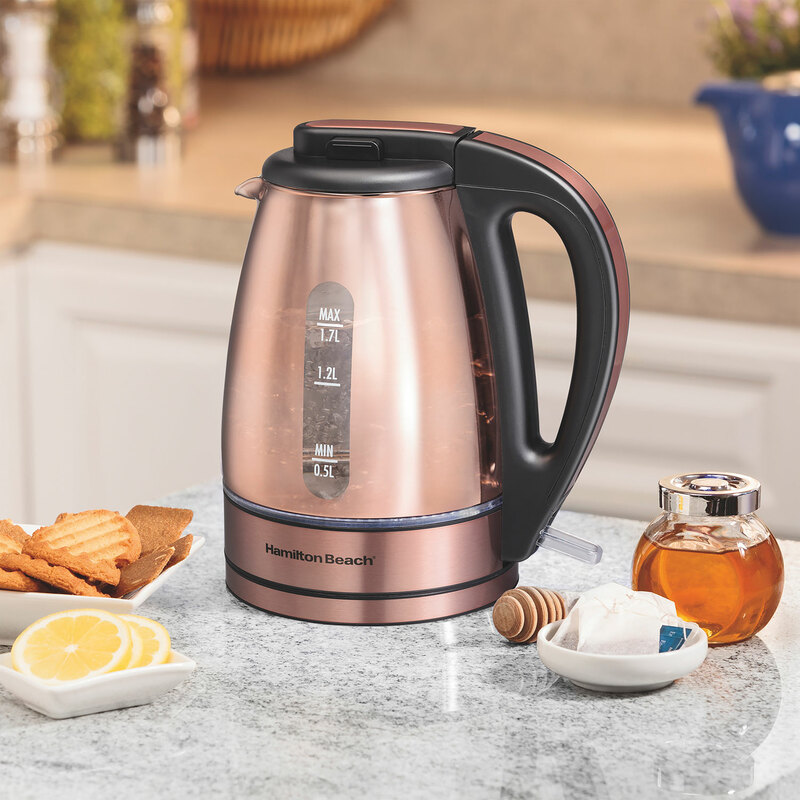 A powerful rapid-boil system provides heat quickly, so you’ll have boiling water ready in minutes. The glow of a soft, white light will let you know when the water is heating up, and will turn off once it reaches a boil. 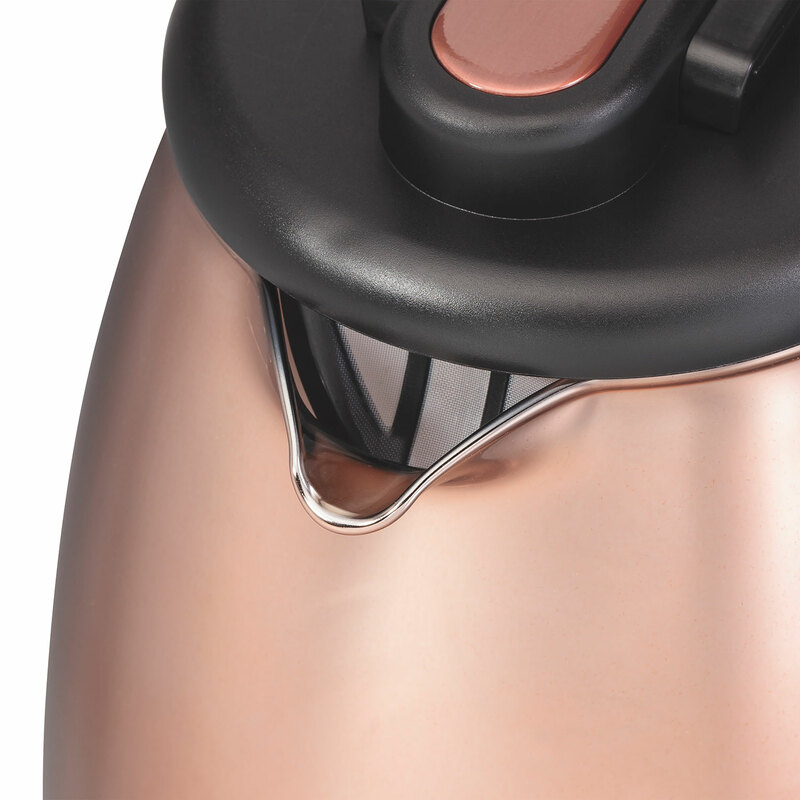 The automatic shutoff feature with boil-dry protection keeps the kettle from scorching. A built-in mesh filter and the wide opening of the spout make pouring and cleaning easy. 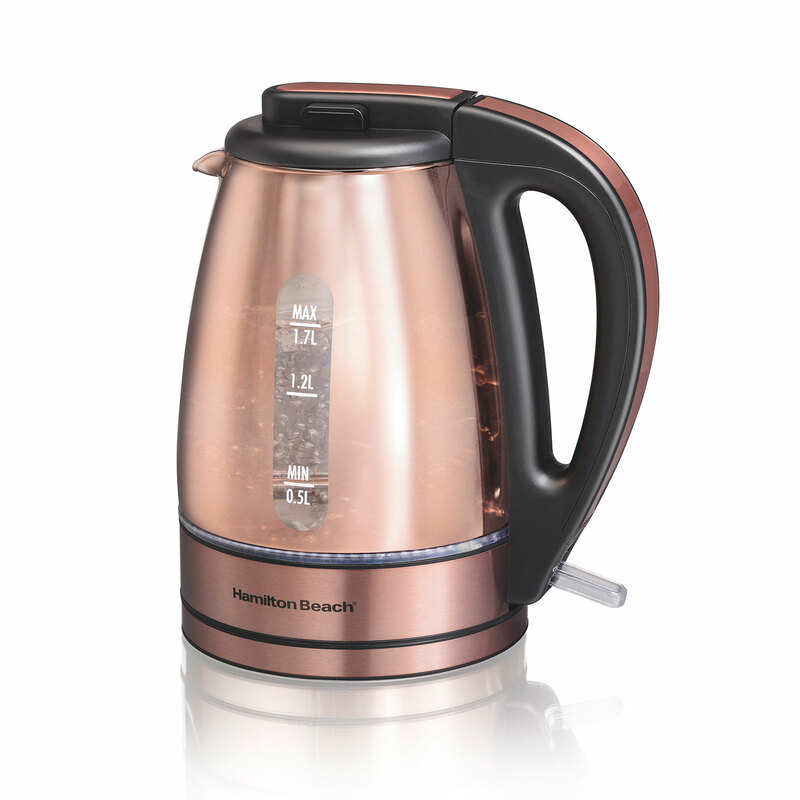 This stylish kettle has a brilliant shimmer thanks to its copper finish, and sturdy stainless steel accents. 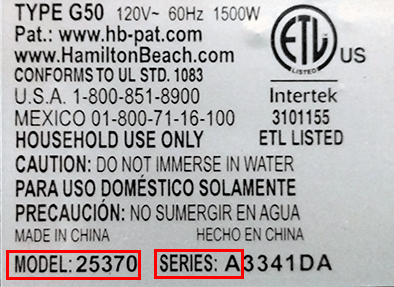 A soft, white light glows while the water heats, and automatically turns off when it reaches a boil. 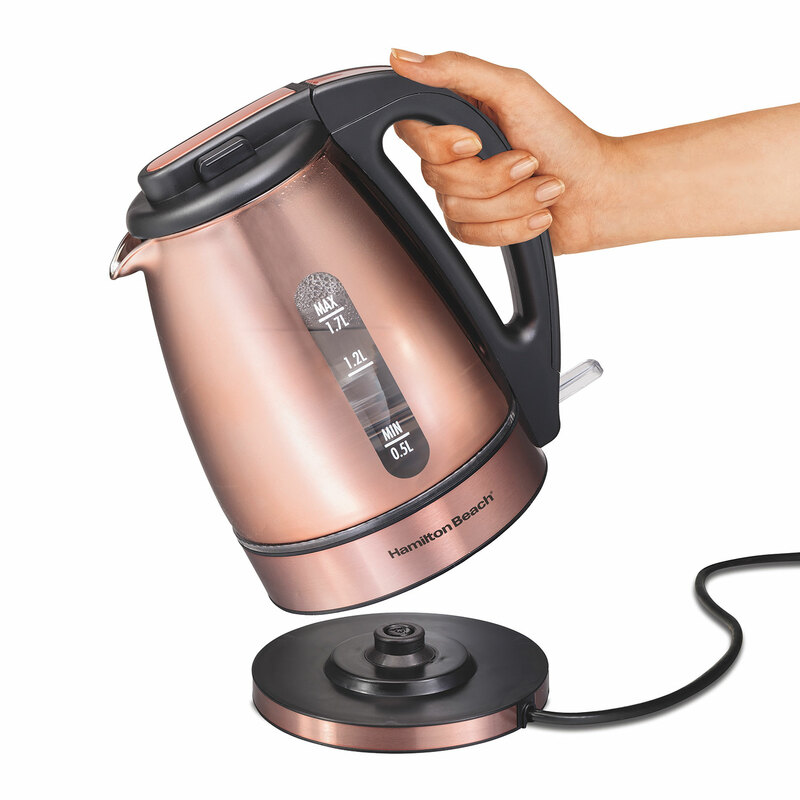 For those who need hot water fast, this electric kettle is for you. In minutes, you’ll have multiple cups of boiling water for serving French press or pour-over coffee, tea or cocoa to friends. 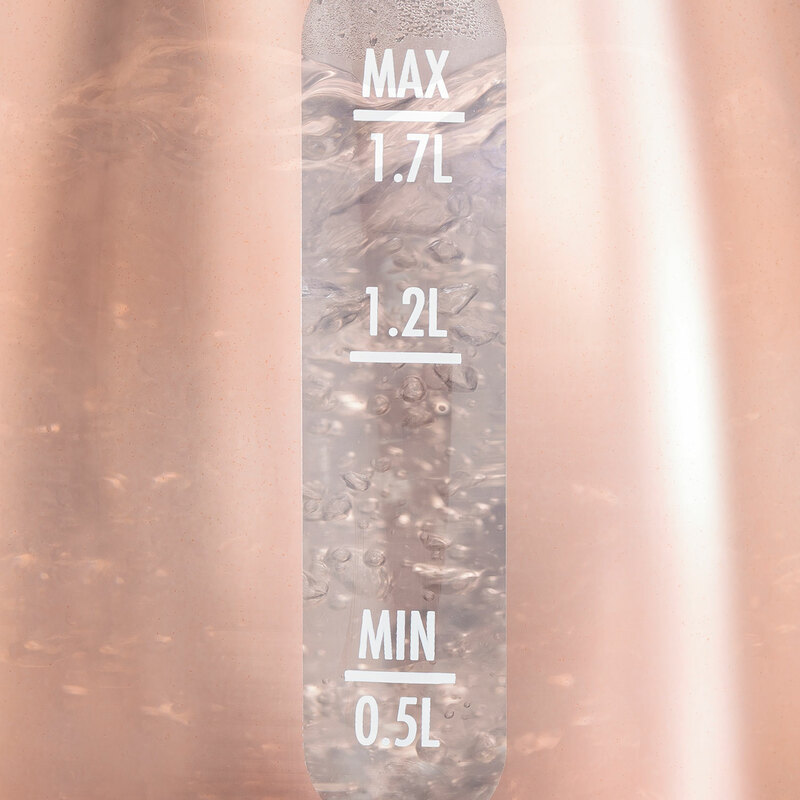 Know exactly how much water you’re boiling, or keep an eye on how much you have left, with a clear water view window that has easy-to-read measurement marks.